A 90-minute production of Puccini's classic opera with its timeless love story of Mimi and Rodolfo set amid Paris' Bohemian life. Based on the novel "Scenes from La vie de Bohème" by Henri Murger. Tickets purchased at door subject to $5 increase. ​​"Capitol Opera Richmond...the little operatic engine that could"
Bernstein's work has been described as a rich musical synthesis of many musical styles and conventions. 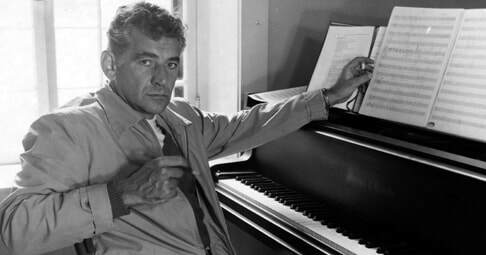 Always in Bernstein, one hears the joy of music and infinite variety of music, whether employing pictures of life in NY, Jewish liturgical themes, biblical themes, jazz rhythms, modern poems, dance, or other rich aspects of life. COR's Centennial Celebration will showcase this joy and variety through much-loved selections from immoral works such, as West Side Story, On the Town, and Candide.